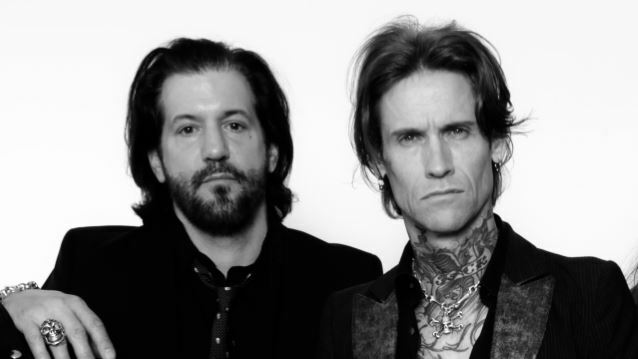 Josh Todd and Keith Nelson of BUCKCHERRY will be counselors at the Rock 'N' Roll Fantasy Camp in February 2017. 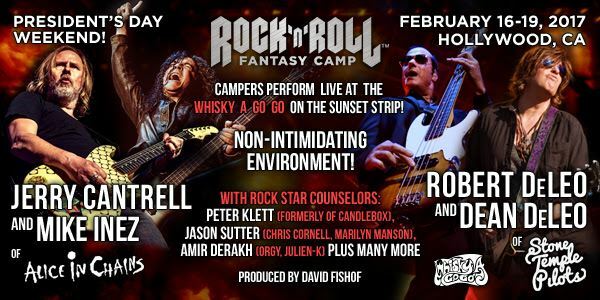 Register for Rock 'N' Roll Fantasy Camp's February 16-19, 2017 event featuring Jerry Cantrell and Mike Inez of ALICE IN CHAINS, and Robert and Dean DeLeo of STONE TEMPLE PILOTS, and you can spend four days in a band with Josh or Keith, where they will jam with you, mentor you and prepare you for the performances with the Camp's incredible headliners, as well as your two live shows, with the finale taking place at the iconic Whisky A Go Go in Hollywood, California. They will be participating in question-and-answer sessions, teaching master classes and giving you a behind-the -scenes glimpse into what it's really like to be in band whose success has spanned across decades and sound has stood the test of time. Don't miss out on this once-in-a-lifetime opportunity to jam with all of the Rock 'N' Roll Fantasy Camp's amazing counselors and headliners participating in this camp. In 2010, Josh Todd starred in an episode of the TV show "Bones" where the lead characters were investigating a murder that happened at Rock 'N' Roll Fantasy Camp and Josh played rock star Erik Dalton. Now he really will be a rock star at Rock 'N' Roll Fantasy Camp! The four-day camp is on sale now at www.rockcamp.com.